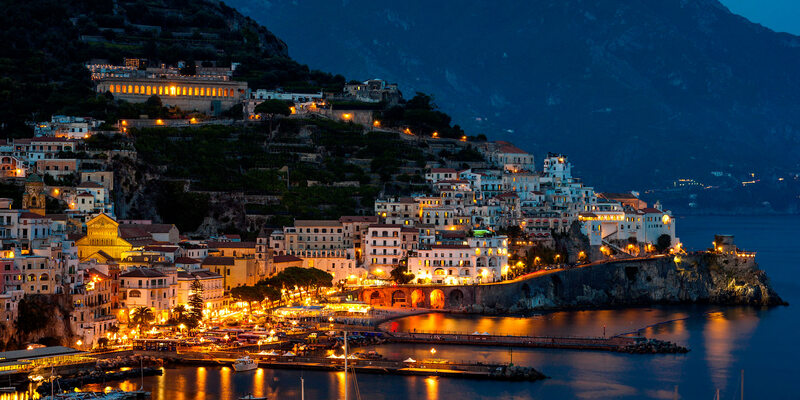 White houses cling onto the rocks opposite the Saint Andrew Cathedral, and the main square which is also the town centre. 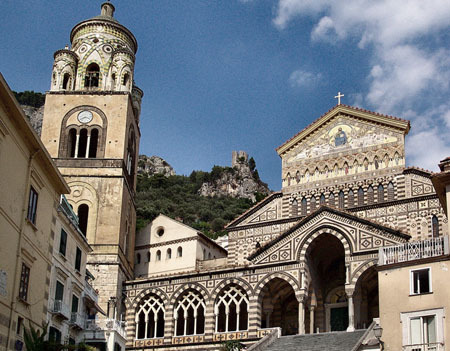 Amalfi is made of alleys, and steps, it is 57 steps to get in the Cathedral of St. Andrew. On the right side of the Cathedral, we find the church tower (from the XII century), and the "chiostro del Paradiso" and "chiesa del Crocifisso". 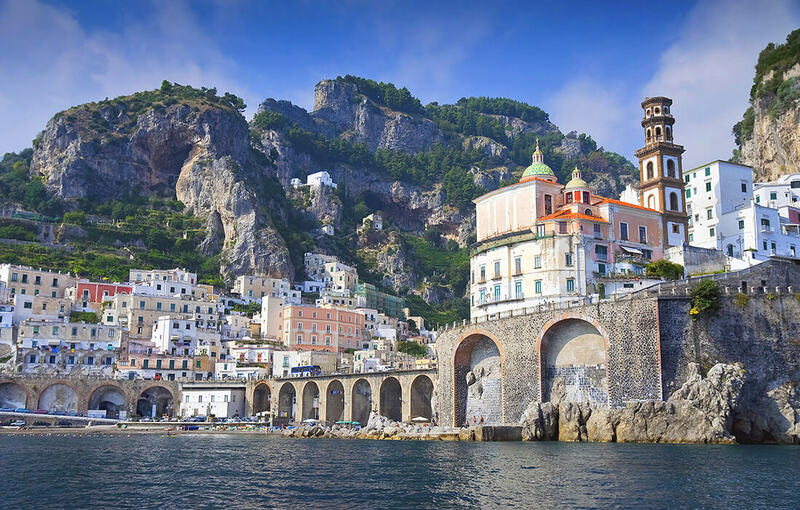 These places tell visitors about the history of ancient Amalfi and of the church. 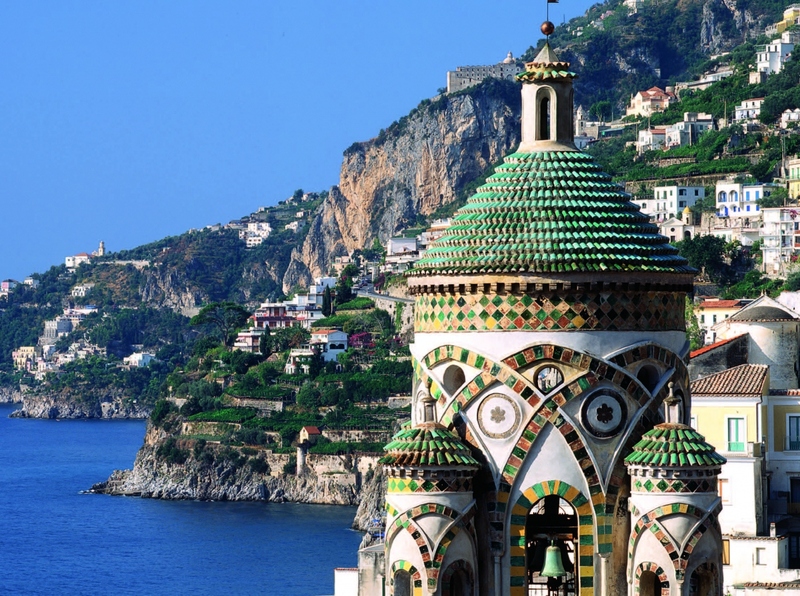 A great view can be enjoyed from the "Atrium " of the Cathedral, showing little alleys and hidden corners of Amalfi. Many streets lead to small squ ares, where people used to sell their merchandise. Through one of this street we discover Piazza dei Dogi, still called "Piazza dei Ferrari", because blacksmiths shops were there.